With the new Galaxy S7, Gear VR, and Gear S2 smartwatch, Samsung aims high to try to convert even longtime Apple fans. Samsung’s new Galaxy S7 is getting rave reviews all across the board, so you can’t blame this iPhone user for being just a little curious. I got to tour the Samsung Studio the day of the S7 release day at SXSW, and while I was instantly impressed with the phone’s water resistance, it was Samsung’s Gear VR demo that really blew me away. 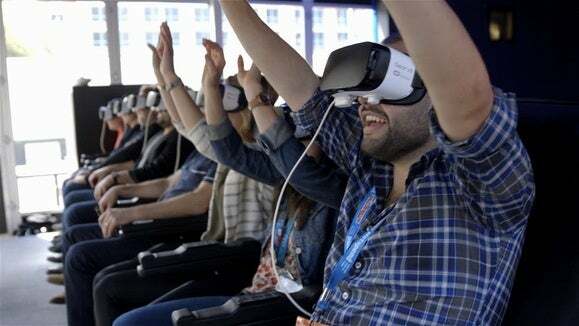 Samsung has partnered with Six Flags amusement parks to create a virtual reality roller coaster experience. As the ride started, my adrenaline legitimately skyrocketed and my stomach dropped as we flew down the first big hill. From there, the twists and turns gave me unexpected thrills. Watch the video above to see just how much fun I had. What made this VR experience more true-to-life was our special motorized seats that bumped and zigzagged to create a 4D joyride. Six Flags plans to add these Samsung Gear VR-powered roller coasters to nine of its amusement parks in the coming year. As Six Flags’ official technology partner, Samsung will also provide Gear VR headsets to the riders of some physical roller coasters so they can get an added visual layer— like turning a sunny amusement park into a postapocalyptic alien invasion zone. Another big draw at the Samsung Studio was the brand-new Galaxy S7 and Galaxy S7 Edge. 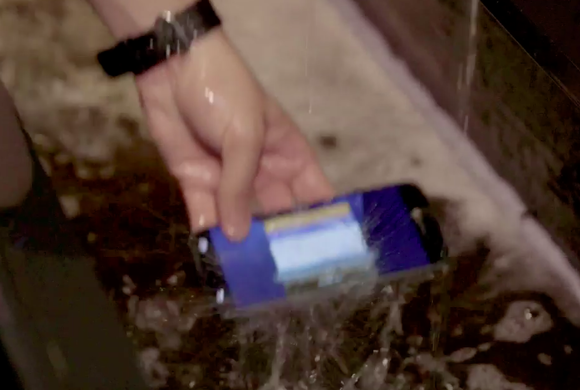 To make the most of the phones’ IP68 water-resistant rating, Samsung had these new phones set behind a waterfall, so you can splash water on them and even dunk them. Considering how I have a mild panic attack every time a drop of water lands on my iPhone (even though the iPhone 6s is reportedly fitted with some secret water-resistant technology), getting to fully immerse the S7 in water was surprisingly liberating. While wet, the Galaxy S7 touchscreen went all over the place though, activating settings and opening up new apps. So I’m not sure how well you will be able to use the phone while it’s raining. I went on a virtual roller coaster, and this Galaxy S7 went on a water ride! Samsung is also touting the S7 camera’s new Duo-Pixel technology, which is supposed to take better pictures in the dark. The Samsung Studio had a photo booth where I tested this out, but even though the S7 taking the photo was mounted on the wall and thus remained perfectly still, some of the pictures still came out blurry. Another underwhelming experience was getting to play around with the Samsung Gear S2 smartwatch, which I had never even seen before. Compared to my Apple Watch, the S2 looked and felt like a cheap toy. The Gear S2 Classic bands are made from genuine leather, but the leather in the Apple Watch’s bands was treated to be more elegant, and you can tell the difference by just looking at it. The S2 Classic’s face and buckle also feel plasticky. Samsung might have been trying to make it as lightweight as possible, but it’s too light in my opinion. To be fair, I was comparing it to the higher-end Apple Watch, which is $200 more expensive; the S2 Classic is $349 and the 42mm Apple Watch is $549. Overall, I may not be switching over to the Galaxy S7 or the Gear S2 smartwatch, but that doesn’t mean that I can’t appreciate all the new things that Samsung is exploring with Gear VR. 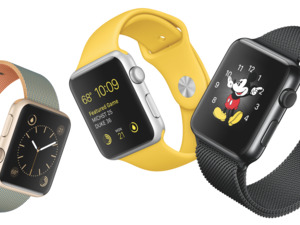 Apple better want to rush those rumored plans to get into virtual reality, stat.